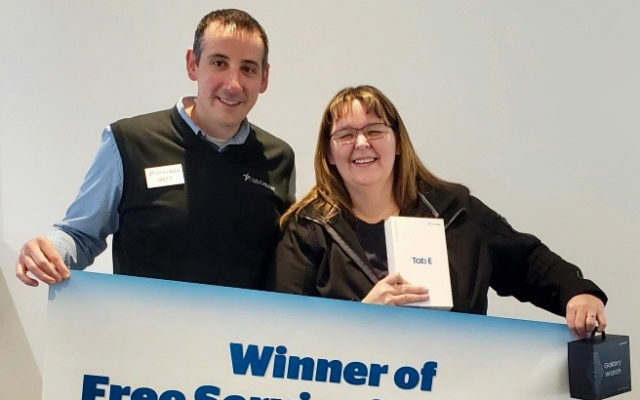 Andrea Hill from Mapleton won a free year of wireless service among other prizes in a national U.S. Cellular contest in December, as part of the company’s Week of Giveaways and Season of Giving customer appreciation program. Hill visited the Presque Isle store recently, where staff celebrated with her. Matt Kasper, director of sales for U.S. Cellular in New England, presents her with her prizes, which also included a new smartwatch and tablet.